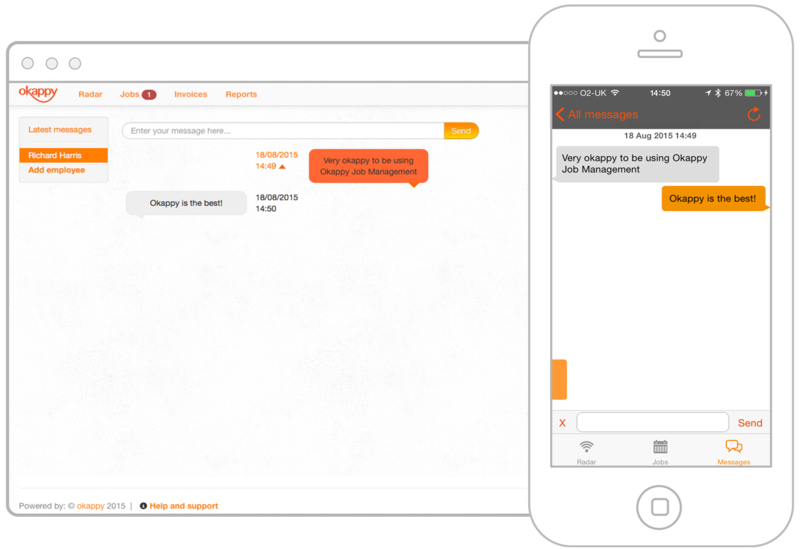 With Okappy messaging you can easily communicate with your colleagues as well as other companies, customers or suppliers. 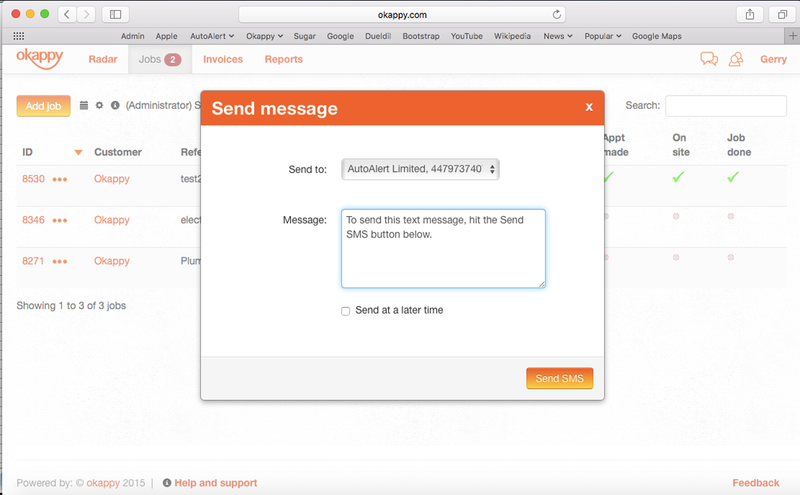 You can send a message direct to your colleagues when logged in to the Okappy site by clicking on the connections icon ( ), selecting the relevant employee and clicking the speech bubble. From there you can see the latest messages and create a new message which they can view when logged into the Okappy website, from their mobile telephone or from the iPhone iOS application. You can also view, send and receive messages from your iPhone or mobile phone using Okappy's iOS app, selecting contacts and then clicking on your contact. From there you can see your latest messages as well as send or receive new messages. If you want to send a message to another individual, you can do this from the website by clicking on the messaging icon ( ) and then entering your message in the drop down box. If the telephone number is already stored you can simply select it or you can add a new number. The message will be send as a text message and requires purchase of message credits. These are available by clicking on your name at the top right of the screen. The drop down box shows how many message credits you have available. Clicking on the link allows you to purchase more credits. You can also select a date and time to send the message if you don't want to send it straight away.